Discussion in 'Communities' started by crimemovies, Mar 17, 2019. Site 86 is a Clockwork SCP RP server that has been likened to other roleplay venues that focus on player emergence as a main form of gameplay, such as Space Station 13. 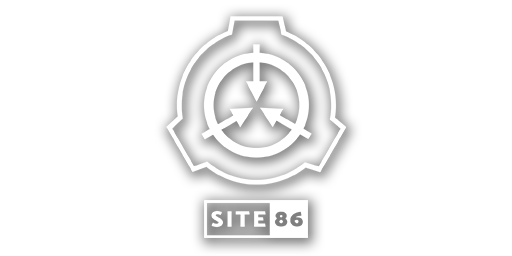 The object of Site 86 depends on each character's motivations, but as a member of Site Staff, players will primarily be tasked with the maintenance and management of an SCP Foundation facility, the containment of SCPs, and the defense of said site against hostile Groups of Interest. Characters will be placed into 4 starting departments, with additional departments requiring volunteers or whitelists. Details of the site, its operations and its history can be found on our wiki. A wide variety of custom content has been introduced into our server. Below are images of our map and models. I'm a big fan of medical stuff... Could you elaborate on the features added with the new advanced medical system? There's a dynamic injury system where treatment isn't simply carried out using a generic med kit, but there are different injuries that can occur on different limbs that require realistic treatment. The closest comparison I could make would be ACE from Arma 3. Seems like the forum link was being censored, so I changed it to avoid it.